We have been thinking a lot about oxidative wines lately. There are a number of reasons for this. 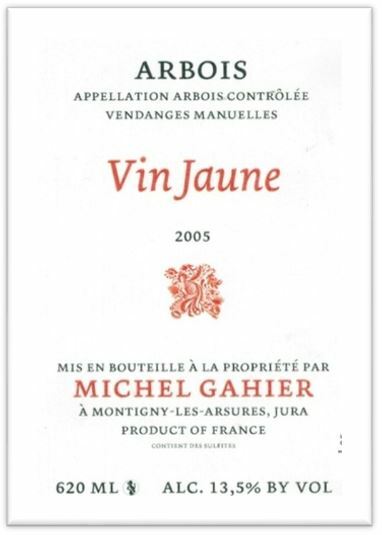 We have been importing Jura wines that are deliberately oxidative ranging from the Vin Jaunes that are exposed to oxygen for many years through to the table wines made from Savagnin and Chardonnay that have slight oxidative qualities. This train of thought was amplified after sampling wines from Radikon in Italy and Ganevat also from the Jura at Garagistes in Hobart. These were lovely, lovely wines that were quite compelling to drink. And then we were fortunate to dine at the Tasting Kitchen in Venice Beach, California where we sampled 15 oxidative white wines throughout a great meal. Every one was stunning with wines from Rioja, the Canary Islands, Venezia Giulia and Friuli in Italy featuring prominently. At Hearth in New York, one of our favourite restaurants on the planet, we excitedly worked our way through a bottle of Gravner Venezia Giulia Ribolla Gialla 2002 that was orange and oxidative and delicious (note that not all orange wines are oxidative). We had a similar experience at Anfora a wine bar that specialises in these wines where we enjoyed a Coda di Volpe “Sophia” Cantina Giardino 2007 anfora-aged golden beauty. It is not possible to understand why winemakers deliberately try to develop oxidative notes in their wines unless you also understand umami. Osmazome is the most meritorious ingredient of all good soups. However he did not take the concept further and ascribe this flavour to any other extracts. This was left to Kikunae Ikeda, professor of Chemistry at Imperial University in Tokyo, when he extracted monosodium glutamate from boiled seaweed (kombu) and called the flavour umami. It is now commonly accepted by food scientists that there are five taste sensations: sweet, sour, salty, bitter and umami. Umami refers to a ‘savoury’ taste that results from the presence of the amino acid L-glutamate and other related amino acids found in fish, seaweed, meat, vegetables and dairy foods. Monosodium glutamate is a salt of the amino acid and will release the acid once dissolved in liquid. This should be an easy taste sensation for Australians to detect because the compelling taste of Vegemite is an umami experience. It is a taste sensation you miss when you are deprived of it as every Australian traveller knows. Similarly it is the taste sensation of Asian fish sauces, soy sauce and the Asian-inspired Worcestershire sauce. Another umami thrill is when mussels are steamed in a reduced fresh chicken stock which Katherine Wakefield and Robin Black used to do at Lickerish in Hobart. The umami in the seafood seems to amplify the umami in the broth. And it is also why Parmesan cheese tastes the way it does because it is right up there with vegemite and marmite in the concentration of glutamates it contains. Green tea is another umami experience with glutamates providing that mouth-filling, savoury roundness that lingers after you have swallowed the tea. However it must be realised that reaction to umami varies widely from one person to another just as does the reaction to bitterness or saltiness or sourness. Stephen Daniels in an article entitled Study ‘confirms’ umami taste receptors reports that a paper published in the American Journal of Clinical Nutrition shows that there is an individual variation in sensitivity to the perceived intensity of umami taste and that this variation is genetically determined. And this brings us to the point about why so many wine makers in so many parts of the ‘Old World’ strive for oxidative qualities in their wines. Exposing grape juice to oxygen increases the level of glutamates and hence the umami qualities. It is the presence of umami flavours that are so appealing to those who are ‘programmed’ to receive this taste. Oxidative wines are an essential wine tasting reference point. Too much oxygen during winemaking (or bottle aging) and a wine becomes oxidized, a flaw; just enough and it is oxidative, a sort of nutty character that people generally love or hate. And this is the point of this article. In Australia the discussion about oxygen in wines is not sufficiently nuanced with the distinction between oxidised and oxidative not really surfacing. The normal reaction is to reject any wine that exhibits any oxidative characteristics – unless, of course, it is sherry! This reaction seems to stem from the clean, antiseptic, technology-driven approach to wine making that characterises the so-called New World. Colman was writing about one of our strong passions – the wines of the Jura region of France. This tiny area near the Swiss border seems locked in a time warp even though it is only an hour by car from the centre of Burgundy. Here, wines of extraordinary complexity and stunning purity are crafted by dedicated artisans on small vineyard plots that are often farmed biodynamically and the wines made naturally. The wines are made in the appellations of Côtes du Jura, Chateau Chalon, Arbois, l’Etoile and Arbois-Pupillin and it is the controlled application of oxygen that makes these wines stand apart. Many of the white wines are oxidative, some slightly while others are exposed to oxygen for years before being released. Let’s get rid of one issue right from the start. These wines have not become oxidative because of bad corks or poor storage – they are deliberately exposed to oxygen during maturation in barrels or large conical wooden fûts. At one end of the spectrum there are the Jura ouillé wines which are usually made with the Savagnin grape. These are exposed to very little oxygen with the barrels being topped up if evaporation causes a gap between the wine and the top of the barrel. However, some are not topped up and then bottled after about a year to create table wines with noticeable oxidative qualities. At the other end are the famous Vin Jaune wines where the barrels are neither initially filled nor topped up. As the wine ages in the airy rooms where the temperature can range from 30+ degrees Centigrade in summer to below zero in winter, evaporation occurs and the level of wine in the barrel becomes lower. But the dead yeasts float to the top and forms a veil on the surface of the wine thus creating a natural barrier to the oxygen in the gap above. Thus this method of aging wine is known as sous-voile (beneath the veil). The wines, by law, have to be aged for over 6 years before being bottled. They take on a deep yellow colour (hence the name) and acquire a complexity that is hard to describe. They are also very long-lasting with reports of wines over 100 years old being still eminently drinkable. Common characteristics of oxidative wines are nuttiness, dried fruits, flowers and umami savouriness. And it is not only in the Jura that winemakers are fascinated with oxygen and how it enhances wine. On our vineyard visits in all parts of France we often come across little private stashes of ‘under the veil’ wines. Last year we enjoyed such a wine that Dominique Derain pulled out of a dark corner of his cellar in Saint Aubin. Visitors to Sydney’s Wine Library have had the chance to try a bright orange Sauvignon Blanc that we obtained from Domaine du Pech from Buzet in south west France. This had not only been oxidised but it had also spent an entire summer in glass demijohns outside in the sun. In Gaillac, talented winemaker Patrice Lescarret ages wine made from the Mauzac grape variety under the veil for up to ten years and then produces a solera (currently from the 97, 98, 99 and 2000 vintages) called Mysterre that is one of the most interesting wines we have ever tried. Oxidation will change the colour of wine – it will lose its vibrant tones and the aromas rising from the wine will change as well. The wine also becomes more complex, more interesting and certainly, to those who are open to umami qualities, definitely more compelling. And it is not just wines from the Jura that exhibit these qualities; many Italian wines especially the well-known ‘orange’ wines in the Collio region of Friuli (such as the gorgeous Stanko Radikon offerings) are quite oxidative as are Spanish wines such as the famous Fondillón or the old-style white Vina Tondonias produced by the Heredia winery; many Slovenian and Croatian wines and even some Burgundian wines are deliberately oxidative as well. We also love a deliberately oxidative white Romorantin from the Cour-Cheverny appellation made by Hervé Villemade. At a lunch for Hobart food and wine enthusiasts this wine was served as an aperitif. All present marvelled at its unique flavour but many found it difficult to find words to describe what was going on in the glass. In Champagne, Anselme Selosse has learned valuable lessons from Jura winemakers and exposes his wines to oxygen early in the winemaking process as he believes that this makes them more resistant to harmful oxidation in maturity. One of his favourite sayings is that ‘my wines and oxygen are good friends’. Another person who shares this view is Patrick Javillier who wine writer Clive Coates calls “the King of Meursault” – one of the top areas in Burgundy for the production of white wines. He also makes a superb Corton-Charlemagne. However his attitude to oxygen is different to other wine makers in the area. He does not mind oxygen and also sees it as his friend. He presses his grapes in open tank presses where the juice and the must both make contact with the air and hence with oxygen. 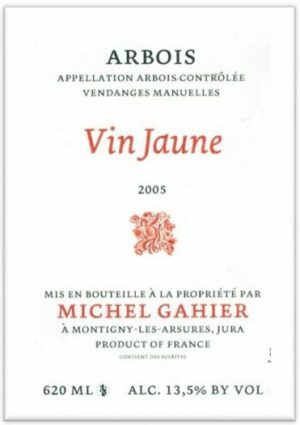 Once the wine is in barrels Javillier uses bâttonage (stirring of the lees) to produce a richer, fuller, more complex wine. However this requires the barrel to be opened and more air to come in contact with the wine. Stirring the lees also allows sulphur dioxide and carbon dioxide to escape, thus reducing their role in retarding the effects of oxygen on the wine. He is willing to sacrifice some of the up-front fruit aromas to make his wines more complex and sturdier for the long haul. But his quest for exposure to oxygen doesn’t stop there. After almost twelve months in wooden barrels he transfers the wine to cement tanks which allow oxygen to seep through into the wine for up to another five months. Cement tanks are also used by many winemakers from southern France who love the ability to allow oxygen to contact the wine in a controlled manner without the downsides associated with new oak. We were amazed recently to see the makeover of Chateau Valcombe in Provence where Luc and Cendrine Guénard are revitalising the domaine, implementing certified organic practices and installing state-of-the-art concrete tanks for maturing their stunning wines. In Imbibe Magazine recently Pameladevi Govinda a wine writer who specialises in natural wines, wrote an article called Deep Breathing in which she explored this topic and the wines that exhibit oxidative qualities. She quoted the multi-talented Joe Campanale, co-owner of the New York restaurant L’Artusi and Anfora, which stocks a range of deliberately oxidized Italian wines. Sherry drinkers and lovers of Vin Santo appreciate the deliberate oxidisation of wine. Many sherry styles are oxidative and this adds to their appeal. If you have ever drunk an Oloroso sherry then you have drunk a wine that has been oxidised. Although Vin Santo winemakers are moving away from the more traditional porous chestnut caratelli (barrels) where oxygen played its role over the sometimes five year maturation, it is still the oxidative notes in this wine that is one of its great appeals. So why are oxidative notes frowned upon in the new world, particularly by wine judges and wine writers, especially when found in table wines. We think that it is probably similar to parallels in the world of music and art. Many lovers of fine music find that harmony and tonality is like a warm coat in winter. They turn to Beethoven or Mozart or Tchaikovsky or Johann Strauss for melodious music that soothes and never jars. But they are uncomfortable with dissonance. If they hear a piece by Carlo Gesualdo or Shostakovich or something contemporary such as Bright Sheng’s H’UN (Lacerations): In Memoriam 1966-1976 a work remembering the Cultural Revolution they find that the notes don’t fit their perception of harmony because these artists use dissonance to create a different musical experience. But, of course the amazingly talented Gesualdo could do both! If you listen to his Peccantem me Quotidie or Tribularer si Nescirem then you will hear harmony and angelic voices. However if you happen upon Bambino, Quando Moriro or Prendimi Fra le Tue Braccia then you will hear discordant notes and dissonance, however the music is even more stunning and memorable than his more conventional pieces. Experiences of art works is similar. Some look to art to reflect the world they see around them. They are comfortable with a sweeping Lorraine landscape interpretation or a portrait by Picasso in his early period. However they become uncomfortable with his abstract art. And so it is with wine. Lovers of wine in the New World have become comfortable with clean, technologically-driven, highly filtered, highly fined wines where some of the predictability comes from the use of a specific commercial yeast which stamp their indelible flavour on the wines. When they taste a wine that has used native yeasts and which has not been filtered or fined or sulphured and maybe has been oxidised as well then they are outside the zone of comfort. So we hope that these people take the time to contemplate a Gravner or a Radikon or a Vin Jaune from the Jura or a mildly oxidative Chardonnay from Burgundy to open new horizons for them to explore this complex and compelling world of oxidative wines.